Quick and easy to use. Non expansion fixing allowing tight spacing and close edge applications. Simply drill and tighten. Salt spray tested to 1,000 hours. 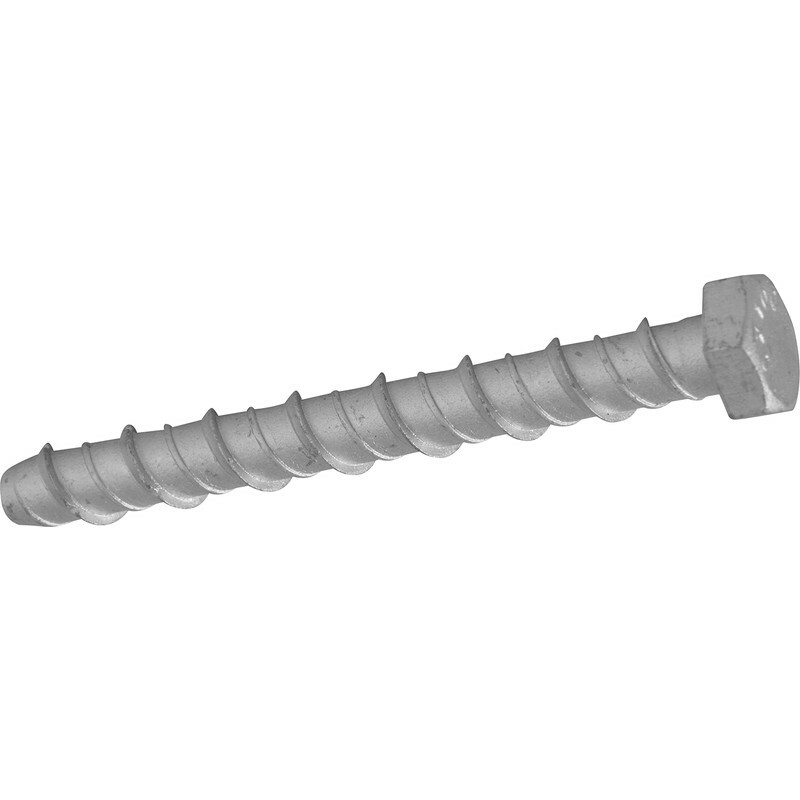 Lightning Masonry Bolt M10 x 75mm (10 Pack) is rated 4.8 out of 5 by 45. Rated 5 out of 5 by Wendyh from Lightening bolts Great to use would recommend for gate posts. Rated 5 out of 5 by Un123 from Great product Brilliant product and cheap compared to elsewhere. Rated 2 out of 5 by Renovater from Doesn't do what we wanted. Wanted to fix post holders to concrete and just didn't work. Rated 5 out of 5 by FrankC from Excellent product Used 3 of these to fix a 75mm post to a brick wall. Instructions on the packet give details of drill size (10mm) and the minimum depth into the wall the bolt needs to go. Easy to work with and feels like a solid fixing. Rated 5 out of 5 by MAB1 from Pefect for fixing timber post to masonry I bought these bolts to secure 75x75mm fence posts to a brick wall and they do a great job. I combined them with M10 penny washers to stop the bolt heads digging into the timber. Not having to plug the wall is a big advantage as you can position the post, then drill and fix the bolt with the post in place.